We have just installed lanterns for Toro Nagashi tomorrow. The ceremony will start around 7:30 p.m. at Kukuiula Boat Harbor. You can just come to watch it at the harbor or at the spouting horn. Everybody is welcome! 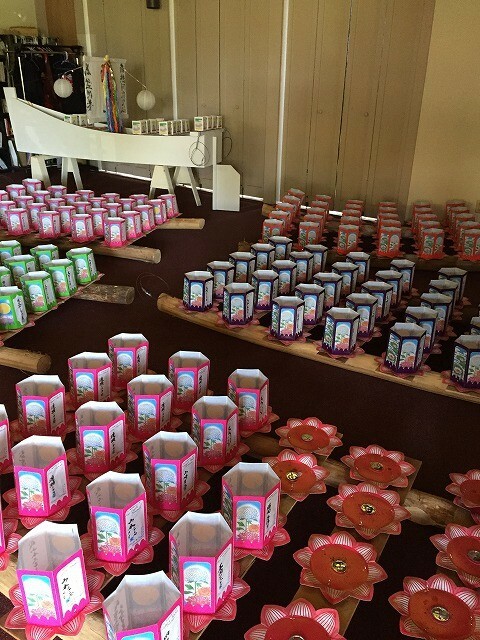 Usually lanterns are sold during Bon Dance, but this year, lanterns are still available to purchase. If you wish to dedicate lantern for your beloved one, please call or text me at 635-8530. Bon Dance tonight will be held at Lihue Hongwanji from 7:30 p.m. This will the last Bon Dance at temple on Kauai. Hope to see you there.